From the Easter Vigil, at the Basilica of Saint Peter, last year. that earned for us so great, so glorious a Redeemer! 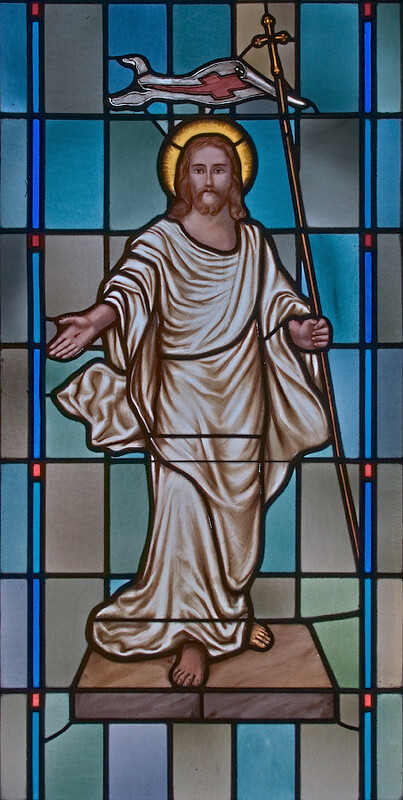 Stained glass window of the Resurrection, at Immaculate Conception Roman Catholic Church, in New Madrid, Missouri. 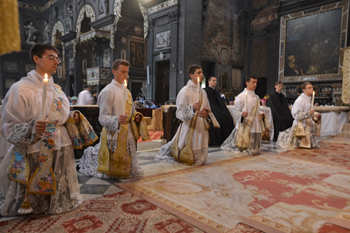 "O Lord, send us many holy priests!" It is the custom in the worldwide apostolates of the Institute of Christ the King Sovereign Priest to add this invocation to the Divine Praises which are recited at each Benediction of the Blessed Sacrament. By the grace of God obtained through the prayers of the Institute's family and friends, the numbers of seminarians have steadily increased over the last several years. Of the 80 men who are currently enrolled at St. Philip Neri International Seminary in Gricigliano, near Florence, Italy, in order to become priests for Holy Mother Church, one in every three comes from the United States and Canada. 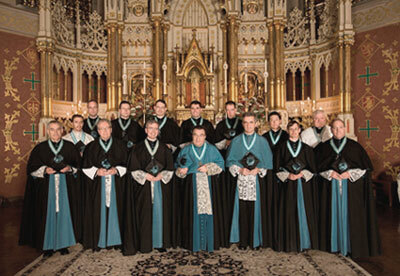 Having participated in the preparatory year of discernment and formation in the Institute's apostolates in the United States, these nearly thirty North American seminarians then proceed over the course of seven years to mount the altar step by step, receiving the various Minor and Major Orders of the Church after much prayer, study, and work in the community life of the international seminary. With heartfelt gratitude to Divine Providence, it is our joy to announce the upcoming priestly ordinations which will take place this summer in the United States. 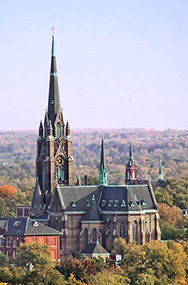 With the gracious permission of His Grace, the Most Reverend Robert J. Carlson, Archbishop of St. Louis, several American deacons will be ordained to the holy priesthood at St. Francis de Sales Oratory in St. Louis, Missouri, on Tuesday, August 5, 2014, Feast of Our Lady of the Snows. The Sacrament of Holy Orders will be conferred by His Eminence, Raymond Leo Cardinal Burke, Prefect of the Supreme Tribunal of the Apostolic Signatura, during the solemn Pontifical Mass which will be offered on this feast in honor of Mary Immaculate, principal patroness of the Institute of Christ the King Sovereign Priest. The Institute's Founder and Prior General, Very Reverend Monsignor Gilles Wach, along with the Seminary Rector and Co-Founder, Reverend Canon Philippe Mora, will be present for this special occasion, along with many Canons and members of the Institute family. The names of those to be ordained will be announced in the coming months after the important period of exams and scrutiny which is a necessary part of preparation before Holy Orders. The Institute is profoundly grateful to all who have offered prayers for these future priests, especially through the St. Philip Neri Seminary Society's program of spiritual adoption by which the faithful pray daily for a particular seminarian. With deep appreciation the Institute likewise is very thankful to all of the generous benefactors of its International Seminary, especially to those charitable persons who have made donations to the special appeal of the St. Philip Neri Seminary Society for the tuition support of needy seminarians who cannot afford this cost. The Institute welcomes all friends and faithful who would like to attend this Ordination ceremony. Details will be made available in the coming months. Everyone is likewise invited to pray for these several deacons as they prepare to become ordained sons of Christ the King Sovereign Priest at the service of Holy Mother Church and for the good of souls. From May 5-9, all canons of the Institute serving in the American Province will meet again at Saint Francis de Sales Oratory for an annual retreat. Monsignor Gilles Wach, Prior General of the Institute, will come from Gricigliano to preach to the assembled priests during this time of recollection. The community at the Oratory is continuing to prepare the spacious convent building for this event: Many generous individuals and families are putting in countless volunteer hours by cleaning, painting, repairing etc. in order to accommodate the visiting clergy. This work is important also for the upcoming ordinations in August when the convent will again serve to accommodate our guests. On May 8, the 2014 priestly retreat will conclude with a Solemn High Mass celebrated by Msgr. Wach. During this Mass, Abbé Alex Barga will receive the Cross of St. Francis de Sales, having been an oblate of the Institute since 2008, and Mr. John Ciabrono, presently a candidate for the oblatehood in Wausau, will receive the cassock. After the Solemn High Mass, there will be a reception in the hall with Msgr. Wach, all canons in the US, the community at the Oratory and the faithful until 9:00PM. Please mark your calendars and bring your friends! 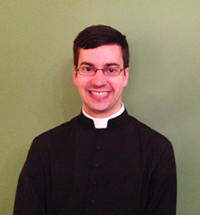 Abbé Andrew Todd, one of four American deacons ordained in 2013, will visit with our community for Holy Week. He will help the canons with various liturgical functions during this holy season. 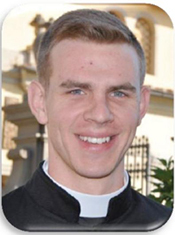 As with all seminarians' visits, Abbe Todd's presence at the Oratory will once again strengthen the connection between the faithful and clergy in the St. Louis apostolate with the Institute's community life in Gricigliano. Thank you for welcoming Abbé Todd on this return visit to St. Louis, and please continue to keep all seminarians in your prayers. For centuries the sacred texts of Holy Week and Easter have inspired composers to pen some of the most poignant and beautiful pieces in the entire choral repertoire. Likewise, of the immense œuvre of Gregorian Chant, those chants that are specific to the sacred Triduum are some of the most striking melodies sung during the liturgical year. Musically speaking, the whole breadth of human emotion is relentlessly examined throughout the Triduum, from triumphant Latin hymns (Vexilla Regis) to prophetic lamentations (Improperia) from the majestic entrance procession of Holy Thursday to Psalm 21 (Vulgate) sung on a single note in alternatim by two choirs. Gregorio Allegri composed his famous Miserere for exclusive use by the Sistine Chapel Choir under the reign of Urban VIII in the 1630’s. If not one of the most famous choral pieces of the early Baroque repertoire, it is certainly one of the most popular. The musical form is really quite simple: a harmonization of the so-called ninth psalm tone – the tonus peregrinus; sung antiphonally between choir and soloists. The dramatic effect of the soprano soloists high C isn’t soon forgotten. 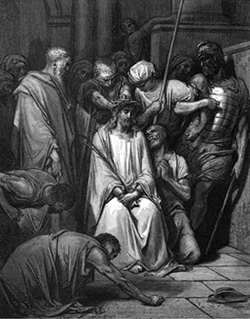 The chanted Passion of our Lord according to Saint John is a particularly moving moment in the Good Friday liturgy. The Passion is customarily sung by three singers assigned to the parts of Chronista, Synagoga, and Christus – narrator, synagogue, and Christ respectively. Tomas de Victoria set the text of the turba (crowd) to perfectly match the written chant melody. The effect makes this narration especially vivid. The Gentlemen of the Choir sing the parts assigned to the crowds. Missa Bel’ Amfitrit’ Altera by Orlande de Lassus is scored for two choirs and brass ensemble. The sonic effect of back-and-forth between the two choirs is impressive; often encompassing a musical range of two octaves. Lassus, for the sake of variety, sets sections of his mass to a smaller more lyrical form; the return of the full choirs and brass after these sections makes for a thrilling effect. with Procession to the Repository with Adoration until Midnight. During this winter’s large snow event and the subsequent thaw, the flat roof over the convent extension developed leaks that allowed water to enter the building and cascade into the lower floors occupied by the KIPP school. This roof was not new and was buckling, separating from the wall, cracking and showing other signs of distress prior to the winter. An inspection showed the need to replace this entire flat roof and, once the weather permitted, the work was undertaken. We now have a solid roof and it has been cleaned of extraneous structures that could pose future problems. The project was completed by the end of March. The Oratory’s weekly Sunday bulletin is provided by a bulletin service company, J. S. Paluch, which will cover the cost of printing as long as there is sufficient advertising revenue. Lack of advertisers means the Oratory will be charged to maintain the same quality and volume of copies, starting April 27. To minimize the immediate impact, we have already reduced the number of copies by 25%, but we could use your help in finding more advertisers for our bulletin. If you have a favorite business in the community you live in (restaurants, florists, hardware stores, contractors, professional services, veterinarians, real estate agents, pharmacies, spas and hairdressers, auto repair shops, funeral homes, plumbers, nursing homes, supermarkets, health clubs, and so on), please encourage them to advertise in the Sunday bulletin, or leave the business name and contact information with the Oratory office, and we will forward it to the publisher representative. The ads may display strictly business information, or include a message expressing support for the Oratory, or for a Catholic cause. 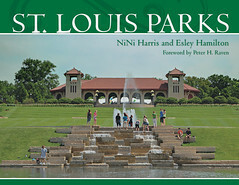 The visibility in the Sunday bulletin throughout the year will certainly help the Oratory community stay connected and show our commitment to St. Francis de Sales Oratory as part of this neighborhood. 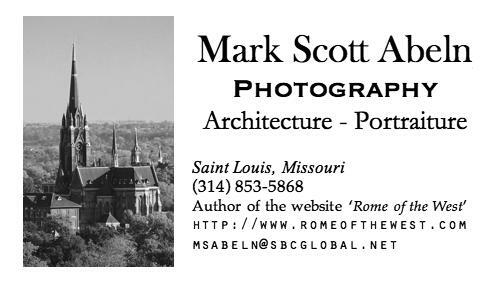 At the same time the year-long exposure of businesses in the bulletin is an excellent way to advertise effectively in this part of St. Louis. THE BASILICA of Saint Louis, King of France, popularly called the Old Cathedral, is in downtown Saint Louis, Missouri, and sits adjacent to the grounds of the Gateway Arch. This is one of the oldest churches in the region, was once the Cathedral church for half of the United States, the place of consecration of many of the nation's famed churchmen, a church honored by the Popes, and — before the reforms of the Second Vatican Council — was one of the most highly indulgenced churches in the world, having gained all of the privileges of all of the major basilicas of Rome. 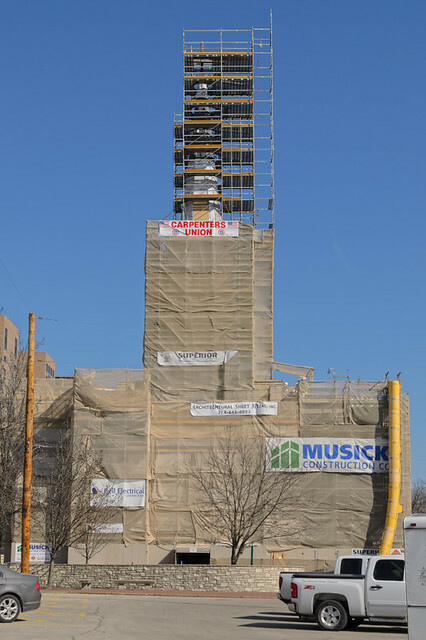 But now it is shrouded in scaffolding, undergoing repairs coinciding with the 250th anniversary of the founding of the great City of Saint Louis, and the 800th anniversary of the birth of King Louis IX of France — monarch, crusader, and Saint. On this blog, I often give distances to various churches — and the distance is measured from this church. These photos were taken a bit more than a month ago, at the end of February 2014. This past weekend, while I was driving past this church, I noticed the gleaming new copper cladding on the steeple, as well as the brilliant shining ball and cross which surmounts it! 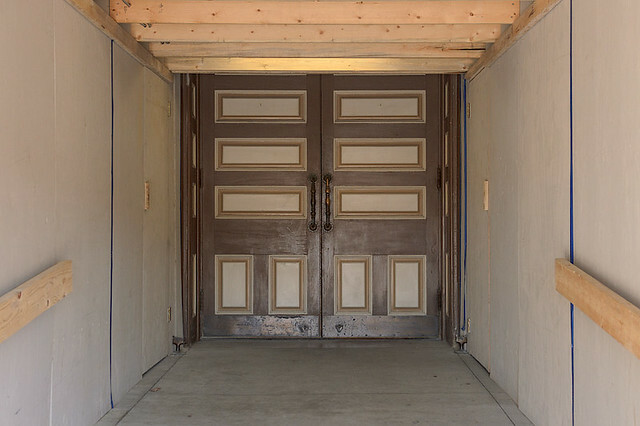 For the safety of parishioners and visitors, the entrance is carefully sheltered from the construction work going on above. Last renovated in the early 1960s, the basilica still retained a certain classical elegance (and this church is extremely popular with brides), although it was becoming rather dingy, with faded carpeting, rough pews, and peeling paint. 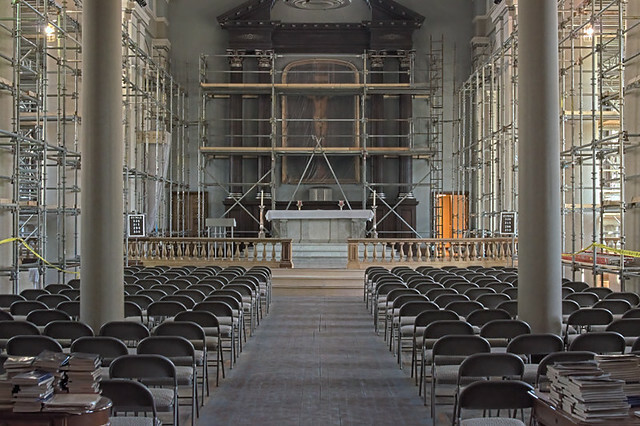 It was clear that some work needed to be done on this church, one of the most-visited in the Archdiocese — this in part because it is adjacent to one of the world's most popular tourist attractions. 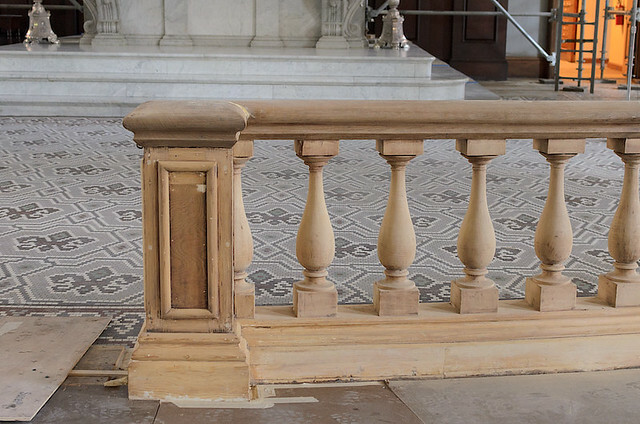 The communion rail, stripped of its paint. 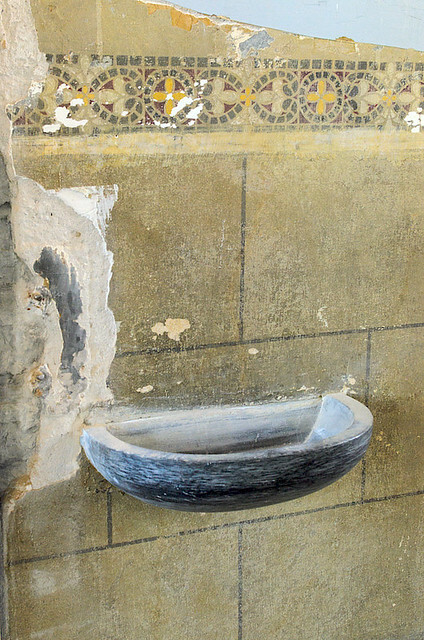 One of the holy water fonts, located near the entrance. 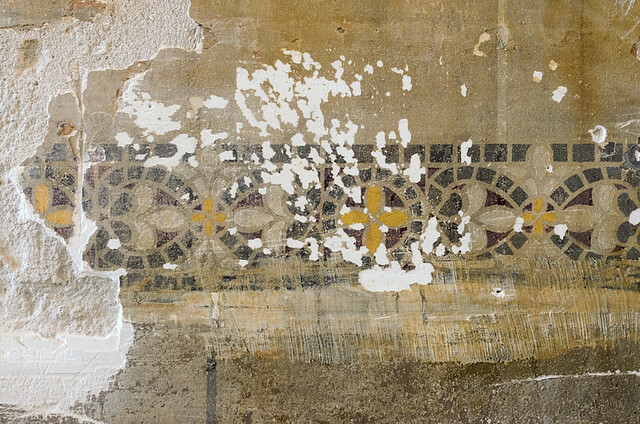 Workers, having stripped off paint and plaster, have revealed an older design, unseen in ages. A closer look at the once-hidden ornament — fleur-de-lys and quatrefoils, both associated with France and the Catholic faith. I have no idea how old these might be. 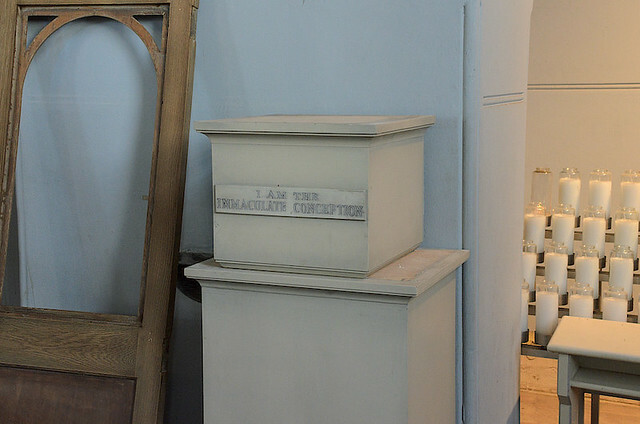 A door to a confessional and pedestal to a statue sit unused, temporarily. Soon the glories of this church will be renewed.